I’m often asked how I manage so many extracurricular activities outside of my day job and my home life. For the most part I’m very organized. Being organized does not have to be a daunting task. Maybe I was just born with the skill. Lately, I’ve become a bit over whelmed with life in general. With work life, home life, and blog life. It’s a lot of life for one person to handle, but I do it with a smile on my face daily! 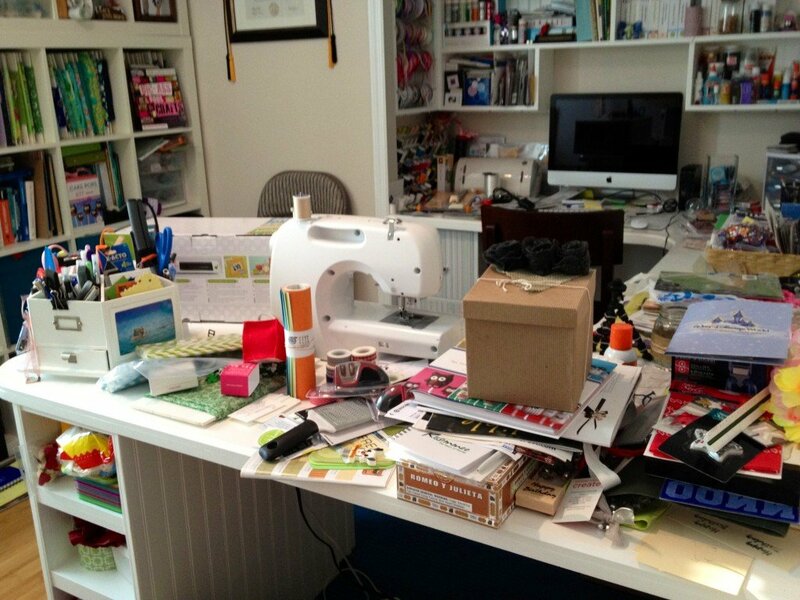 Today I want to talk about staying organized in the office whether this is a craft room or a business. First impressions are everything and let’s face it your desk and office area reflects you. This would probably account for why I feel like my life is spinning out of control. My craft room looks like a bomb went off in it. It is no longer manageable. I’m sure when Mr. Woodsy sees this post he is going to have a heart attack just knowing I’ve exposed my messy messy craft room to the world. Let’s face it–we are human. Invest in a home filing cabinet and folders. We found the pictured file cabinet above for free. We weren’t crazy about the color so we spray painted it and then I mod podged scrapbook paper on it to give it more personality! We have a folder for just about everything and take time once a month to file papers that we have received in the past month. Whether its paper bills that came in the mail like our mortgage or water bill or doctors visit receipts. Typically my craft room gets a good cleaned once a month and/or if we have special guest coming over then I clean it up then. Being organized and filing papers doesn’t stop in the paper form–let’s talk about the digital form. If your anything like me you have multiple email accounts. 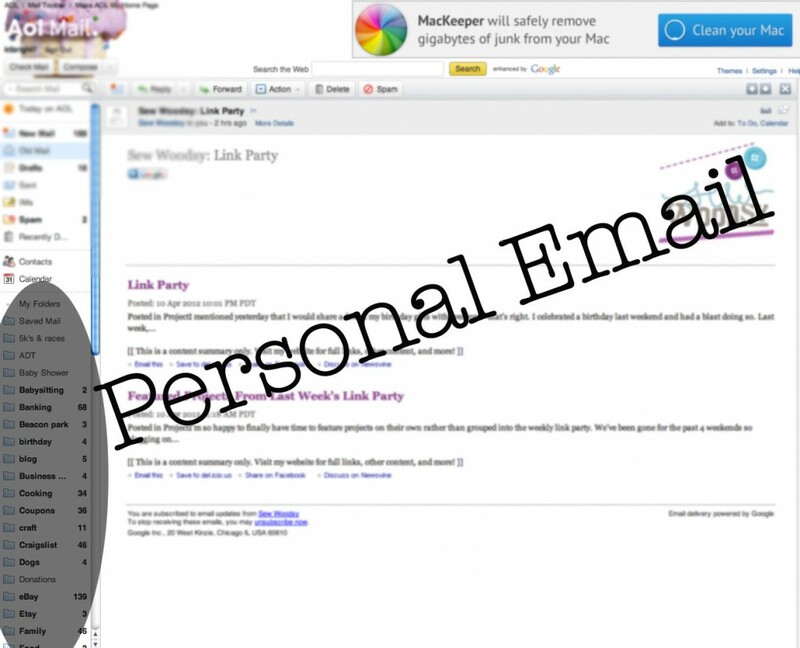 Each email account has a purpose. I have 6 active email accounts (not including the still active wedding plan email address that I used while planning our wedding a mere 5 years ago). 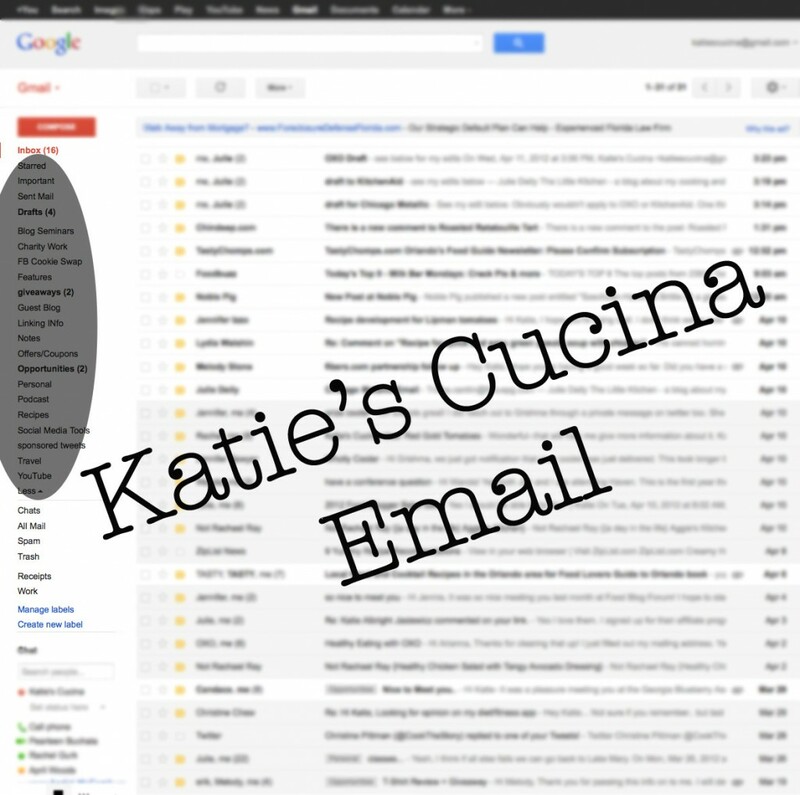 Staying digitally organized can get way out of control way too quick! I’m all about making folders, reading an email and then filing it or deleting it. 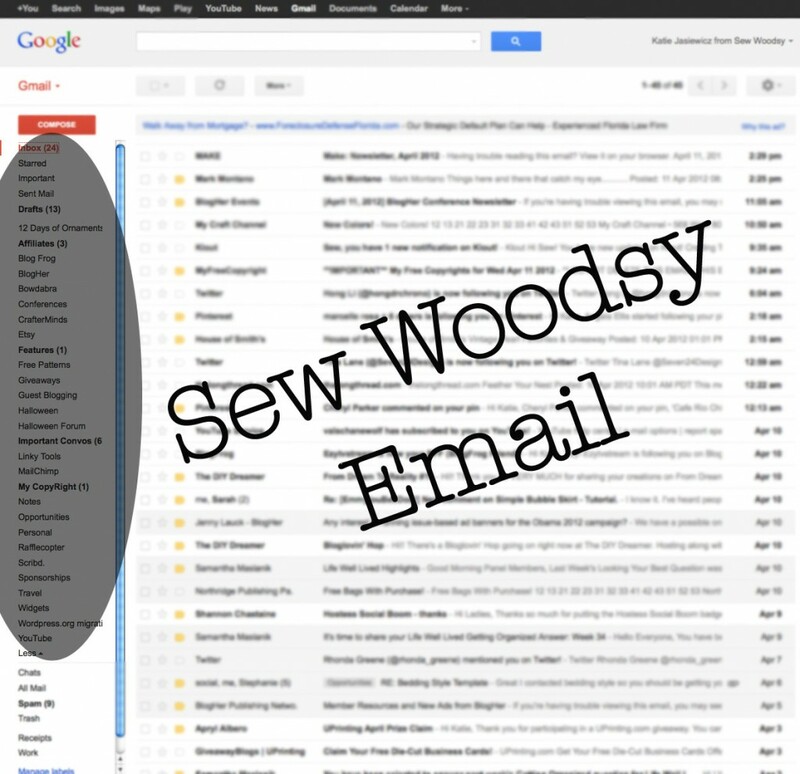 Let’s take a look at my three main email accounts (not including my day job email). By far my personal email has the most folders at of all 6 of my email accounts! I have a folder for just about everything. I have a blog folder in my personal email since I handle some commitments and billing through my personal email address. I counted and am proud to report I have 53 folders! 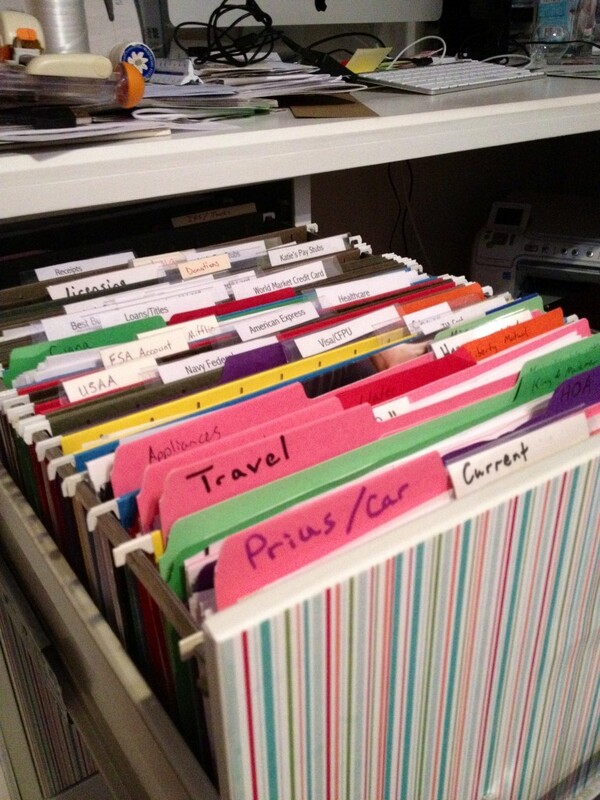 My advice if you have this many folders–know where you put stuff. Anything vacation related that you want to save should go in a “travel” folder. ALL coupons that come in that you might use should go in a coupon folder, etc. For my blog email accounts I’ve found that I have similar folders for both craft & cooking blogs. Make sure you visit BlogHer.com to read about the Ten Ways to Organize Your Papers – Online and Offline, and don’t forget to enter the current Life Well Lived Sweepstakes! You could win an iPod Touch and a $50 iTunes gift certificate to go with it! 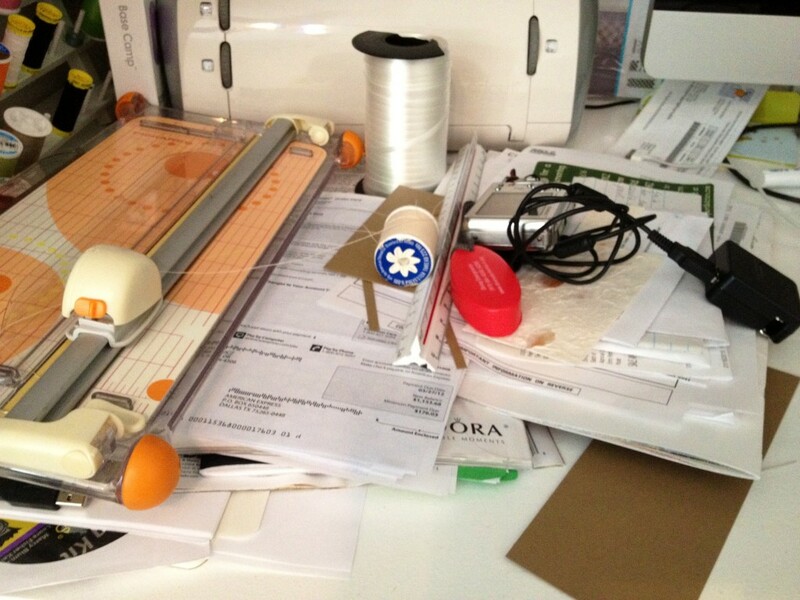 I’d love to read about how you manage paper clutter whether its in the physical or digital form. Any additional tips you’d like to give? I definitely need a filing cabinet. I use filing bins and they just aren’t big enough. Offline, I am much more organized. Like you, I use folders and sub folders. While I don’t have as many email folders as you, I definitely have everything organized digitally. It’s the paperwork that is my problem. Do what we did and find a used file cabinet and then revamp it with spray paint, mod podge, and scrapbook paper. Heck, you could even put fun knobs on it if you find them. Our 2-drawer file cabinet is becoming over run–I think we need to upgrade to a 4 or 5 drawer! Good luck! Evernote, Katie! We use Evernote premium for everything, and I share different notebooks with Pete. We love it! I have used evernote for work, but just couldn’t get into it. Problem is that Mr. W is part 90 year old man and feels that we need paper everything! lol. Your craft room and mine must have been victim to the same mad bomber! Because I have a large work surface and cutting table it is a handy place to put things when you are in a hurry. Like you company is always the motivation to clean up a bit but really a well organized craft room is about having a place for everything! Lots of craft organizers for little iddy biddy parts, hooks everywhere, to hang things on and I especially plastic storage drawers for holding supplies. they even form the support for one end of my cutting and work table! lol yes! Any time there is a work surface with a clean space paper tends to attract to it! Glad to know I’m not alone!